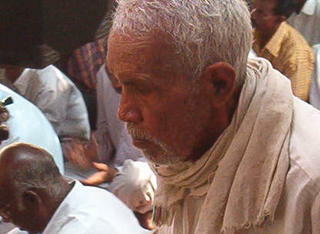 I snapped this shot just before a worship service in Sircilla, India. I later learned this man died during the winter. Notice the man clapping in the background. Most of the time the people began to sing and clap before the service "really" started.